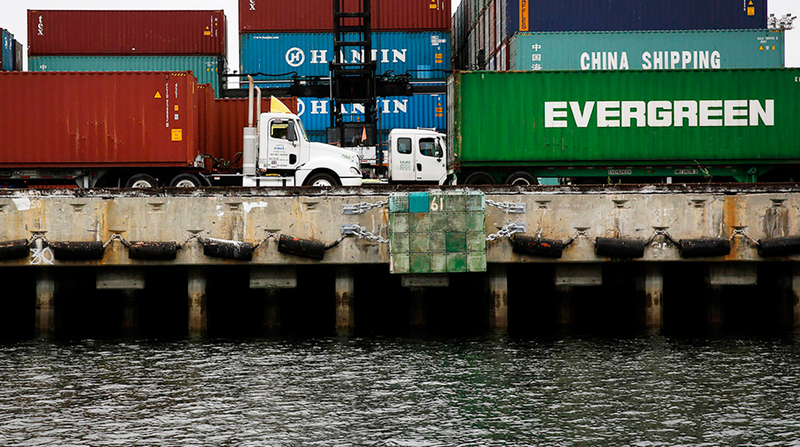 Prospects for international trade growth look positive for the next three months, according to the DHL Global Trade Barometer, an index designed to present the current state of global trade and provide insight on movement in the near term. The index rose to 66 in March from 64 in January when Deutsche Post DHL Group launched the barometer. A measure above 50 signals growth for global trade. DHL reported the outlook for trade worldwide is on the upswing, primarily driven by a positive outlook for business between the United States and South Korea, though prospects for Germany have slowed after a strong 2017. Index sources include aggregated market data from air and containerized ocean freight in seven countries, which accounts for 75% of world trade. The countries are China, Germany, Great Britain, India, Japan, South Korea and the United States. All of the seven in March had an individual value above 60, led by India with 84. The United States was in the middle of the pack with a value of 67. The barometer is based on import and export data for a variety of commodities that show industrial production trends. These can include name brand clothes, car parts or touch screens for mobile devices, DHL explained. The barometer was developed by DHL and Accenture.